Townsite stamp, Sedro. We discovered this in an 1890 Washington magazine. Have you seen similar documents or photos from the original townsite of your city? Click on the thumbnail for the full document. Can you help with scans, copies or documents for these planned stories? Meanwhile, below are high-priority items and information that we need for upcoming stories. They have not shown up in various histories so far or in photo collections that we have seen. Nearly 200 families have searched through their personal collections and have rewarded us with copies and photo-scans thus far. We hope you readers can help again. Disclaimer note: as we have emphasized from the beginning of this project, we do not request or need your originals. Xeroxed copies, on a machine that has a special button to produce near facsimiles, are sufficient. You can ask for that service at nearly any chain copy shop. And photo-scans should be in .jpg format, if possible, and edited to fit in a space of 750 pixels or less in width, again if possible — in addition to a higher resolution .bmp format scan, if possible. This is the architect's drawing of Hotel Sedro. We do not have an actual photo of it but we hope that a reader will have one in an old scrapbook. The Sedro Land & Improvement Co. partnership headed by Norman Kelley and Junius Brutus Alexander designed it as a 3-story luxury hotel, with gravity flush toilets, possibly the first ones in the county. It was located on the west side of Third street, about where the high school gymnasium stands now. The Pioneer Block of businesses stood across the street where the present high school was built in 1911. That was the nucleus of new-Sedro and businesses such as Bingham Bank and Holland Drugs burned in 1894 when the hotel was nearly destroyed by fire. Alexander donated the former hotel-lots for the site of the Carnegie Library, which opened on Oct. 28, 1915, and was torn down in 1963 for the gymnasium. That decision is still debated in hindsight as being one of the worst in Sedro-Woolley history. The hotel was meant to house visitors and investors to the booming town of Sedro. The depot for the Seattle Lake Shore & Eastern Railway was located west from the hotel, about where the western end of the high school football field is. There were even plans afoot to compete for the county seat, but hopes were dashed for that in the election of 1892. But the real problem for the hotel was that P.A. Woolley was already building his company town ten blocks northwest and when three trains finally crossed there, both the SLS&E depot and the Hotel Sedro were doomed. 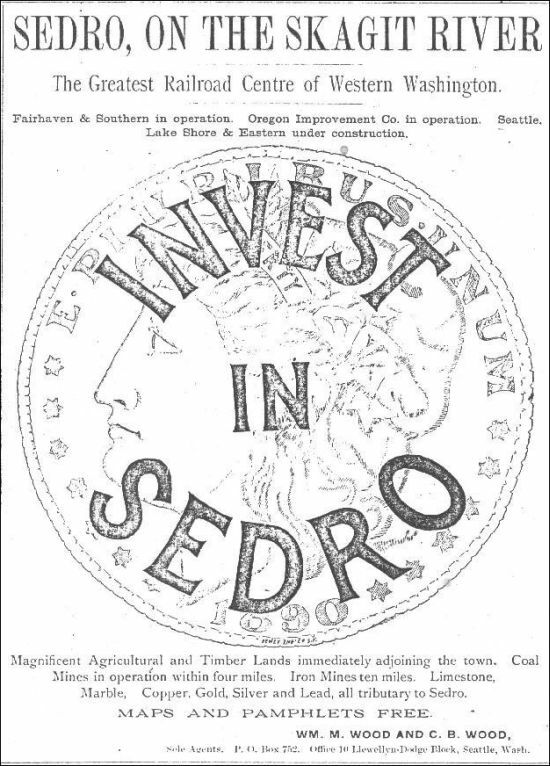 The final nail in the coffin of new-Sedro and the hotel came with the nationwide financial panic of 1893, which led to a Depression that greatly reduced production and trade in most of the Northwest for the next three years. Within a year of being built in 1890 the hotel went bankrupt and in 1897 it burned to the ground. 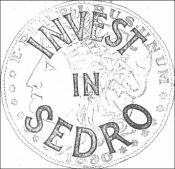 If you know anyone who has photos or documents of Hotel Sedro, the SLS&E depot or the new-Sedro area of the 1890s, please email us with a scanned attachment or mail copies. See below for details. Missing photos of 1880s and '90s. Sedro and Woolley. We dream sometimes of opening an email where a kind reader tells us that they rummaged through their attic or an old family scrapbook and would I like to see photos of old Woolley in 1890 — maybe the streets, the railroads and the townsite . . . would I like to see the original P.A. Woolley home on Gibson . . . would I like to see photos of Jameson Street, Fidalgo, Nelson or 4th in new Sedro . 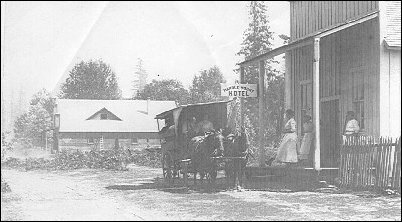 . . a photo of the original Hotel Sedro? But it has only been a dream so far. The first decade of newspapers burned up in various fires, so we do not even have an engraving of any of the early towns, and we do not have any photo of the original Woolley town. In addition, all the old files from city hall were taken to the dump decades ago. We have only a couple photos of new Sedro, where the high school stands today, and only two of old Sedro by the river. Our dream came true 14 years ago when we found Mortimer Cook's granddaughter, age 90 in Illinois, who showed us photos of old Sedro and Cook's store and home. Will you please help our dreams come true? Any photos of any streets and buildings from any decade, especially the 19th century. The first newspaper in Sedro-Woolley was the Sedro Post, which George Hopp published in new Sedro in 1890. The last time anyone saw a copy was when Ethel Van Fleet shared the first issue with the Sedro-Woolley Courier-Times in 1953, and subsequently it has disappeared. Is there a copy of that newspaper or its successor, the Skagit County Times, in your family collection? Photos of old Sedro. We have two of Bug/Sedro by the river where Riverfront Park is. We have none of new Sedro, located where the high school is now, and the blocks in a one-block radius all around. The Emil Jech Universal Motor Co. garage in the building where the museum is now located, and the Sig Berglund garage in the same building, which replaced Jech's business. State Street. North side of State Street in Sedro-Woolley, the Harris Sedro-Woolley Laundry, the auto parts store; also the buildings west of Metcalf Street, including Hall Machine Works, Massar Lumber, etc. ; and the buildings on the south side of State Street, including the B&A saloon/pool hall, Rainier Café, Grand Central Hotel, Maple House boarding house, various saloons, Sedro-Woolley Ice, Creamery and Bottling Works, etc. Millie Disbrow, who was a long-time employee of the McClintocks at their drug store on Metcalf Street; and especially her Coffee Cup restaurant, which she opened in the old house and office of Dr. C.C. Harbaugh. That was on the alley, at the corner of what is now the Countryside Chevrolet lot for their new cars. VFW lodge, Opera House, Moose Lodge, Sedro-Woolley. The Opera House was erected in what was then called the Bowery in 1898. That was in the middle of what is now the city parking lot on the north side of State Street, across from the dead end of Third Street. That building evolved into the Moose Lodge in an unknown year, and then became Danceland, a skating rink and a coffee shop at various times. Carnegie Library, especially the one in Sedro-Woolley that opened in 1915 and was cruelly torn down in 1964. We do have one exterior photo, but we have none of the interior, which I remember so well from when I was a boy. We would also especially like an exterior shot that shows the buildings to the west, south and north during the library's first few decades. We have a pretty thorough history of the Anacortes Carnegie, still standing and opened circa 1909, but can someone help us with the history of the Burlington Carnegie, which still stands across the street from the library on Fairhaven? Railroad photos. We have only two of the Seattle Lake Shore & Eastern. We have none of its next incarnation, the Seattle & International. We have only one of the next incarnation, the Northern Pacific. We need any incarnations of the trains called the gas-powered Galloping Goose, on the NP line north-to-south and on the Great Northern line, east to west. We have only three of the Fairhaven & Southern Railroad. We have only one of the Seattle & Northern (cars are sometimes labeled Seattle & Montana), known as the Great Northern from about 1898. Railroad depots. We have one drawing and one photo of the F&S Depot in old-Sedro at the river (it was there from 1889-early 1900s). We have no photos of the SLS&E depot, but we do have the depot itself as the living room of a local dentist's home. We have one photo of the Northern Pacific depot at the northwest corner of Ferry street and Eastern avenue. We have no photos of the original Union Depot, which was located at the northeast corner of where the north-south and east-west tracks meet at Northern Ave. We have no photos of the Great Northern depot, which stood north of the Gateway Hotel, just south of the tracks, where the loading depot remains. Hotel Sedro. This most famous local hotel of all time stood where the high school gym in snow on Third street. We have two architect's drawings, but no interior or exterior photos. Dream Theatre, the wonderful old movie house that started as a vaudeville and silent-film attraction on Christmas 1913. It stood where the US Bank is today on the north side of Woodworth between Metcalf and Murdock streets. Speaking of banks, do you have any photos of the early First National and Bingham banks of Sedro-Woolley, or even the Bingham Bank in old- or new Sedro? City Halls. The one in downtown Woolley that stood between Bingham Bank and the lots where the Post Office now stands, built sometime after the turn of the 20th century. And the earlier town halls of Sedro (7th street between Fidalgo and Jameson streets), and Woolley, at an unknown location. Stave's Service Station, the first such station in town. It was located at the west end of the current parking lot at the north end of Third Street. After January 27, you can see the Stave photo on the new Woolley Photos page. The station apparently began service in 1919 and moved south, across the street, in 1929, where Loggers and Contractors Supply is now located. Mrs. P.A. Woolley's diary. In 1939 a Mrs. Robert Doxsee owned this diary of the wife of the founder of Woolley. In our book, we quote from a handful of references to the diary from a newspaper article that year. In 1953 the newspaper referred to the diary again. We have contacted Mrs. Doxsee's daughter and we learned that the diary has disappeared and that her mother suffered from Alzheimer's. Does anyone know where the diary or a copy might be? Absolutely invaluable. And we have only two photos of the exterior of the Woolley mansion, which was located west of Woodworth Street, about where Sedro-Woolley Auto Parts now stands. We have no photos of the interior. Harry Devin's weather and history records of Sedro-Woolley. This amazing man is one of the most important residents to have lived here. He was judged the greatest hunter in this area by his contemporaries, yet made his fortune as a shrewd real estate promoter who knew how to pull strings. He came from Iowa to old-Sedro in 1890, mined in the Klondike at the turn of the century and came back to start Skagit Realty with Charles Wicker Sr. in 1902. His house at the southeast corner of Talcott and 4th streets is about to be sold. At that house he kept daily weather records on a special contraption for 50 years, except for his time in the Klondike. And he was a historian of some water, keeping a running history of the towns since his frontier times. He was also postmaster in both old-Sedro and the first one in combined Sedro-Woolley. After he died in 1943, all these records disappeared. Does anyone know where they might be? Absolutely invaluable. 1933 bound volume of the Sedro-Woolley Courier Times. Has been lost for at least 20 years. Sedro Press, Skagit County Times or Skagit County Courier. The Courier-Times is missing copies of these newspapers from 1890-98. They have a few of the 1899 papers. Most of the Skagit County Courier copies are missing, up to 1920 when the two newspapers merged. A copy of the Skagit County Logger would be nice, dating from around 1890; it later moved to Hamilton. The April 24, 1890 edition first announced that the company town of Woolley was forming at the crossing of the three railroads, and the editors predicted that it would be named Hilltown. Peavey's Acreage, a combinations of two or three sections between Sedro-Woolley and the Skiyou Slough. We know that his name was G.B. Peavey and owned the property at the turn of the 20th Century. We want to know more about him and whether he was a realtor/developer. Early downtown photos of any of the towns of Skagit County, especially of Sedro, Woolley, Mount Vernon, LaConner, Wickersham, Clipper, Acme, Prairie, and the original rivershore location of Hamilton or Sauk City, which was washed away in the flood of 1897. Hamilton moved up to where Maple Street is today. The Utopia district east of Sedro-Woolley and south of Minkler Lake. We have spent the last ten years visiting and researching with descendants of the pioneers of the district near Lyman for a section we plan to publish in early 2006. Can you help with memories or scans of photos? We are looking for: Betscharts, Kings, Seversons, Powells, Atwells, Leggetts, Reisches, Johnsons, Silverthorns, Utopia school alumni, Marchants, Giffords, McConnells, McCalibs, Minklers, George Arnolds, Daesners, Behrens and anyone else who lived there. Cokedale, the coal-mining town northeast of Woolley and east of Northern State Hospital, which was born in 1889 and operated through the early 1920s, with a population peaking over 1,000. We have two photos of the town itself that grew on the side of the hill, but only one photo of the opening of the mineshaft. We want very much to find photos of the beehive coke ovens and photos of the people who originally found the coal deposits, including Lafayette Stevens and V.A. Marshall. Prairie and Warner's Prairie. We are working on chapter Two of the Hoyt family, and their neighbors in this area that settled before Sedro or Woolley. We want to learn more about the families, including Canavan, Hathaway, Sexton, Warner, etc. We would love to find a photo of the town of Prairie itself, as well as photos of towns further north on what is now Hwy 9: Wickersham, Clipper, Van Zandt, Acme — does anyone have a photo of the Wickersham skating rink? Otto Klement, the man who effectively started Lyman in 1881-2, was seldom photographed. We would love to see photos of the man, his first trading post and any of his other businesses in Lyman and Mount Vernon, maybe even in Avon. The Siding was where logging trains had a yard near today's Punkin Center. .
Any early photos of Rockport, Marblemount, Hamilton when it was alongside the Skagit River, Ruby City, Wilburton. Skagit-Cumberland Coal Co., Orlando Graham, J.J. Conner, at the foot of Coal Mountain on the south shore of the Skagit River, across from the village of Hamilton. Sadie Silverling Cudworth. Sadie was the proprietor of Sadie's Place in Marblemount, one of the most colorful upriver hotels where her pet dog carried guests' luggage in his mouth. She arrived right around 1900 but her husband Hugh moved on a decade or so later and moved to Hollywood where he was employed in the silent movie business. And Herman Rohde, the packer who guided dozens of miners to their claims in the North Cascades. And Frank Olson, who drove the stage between Marblemount and downriver points. One of several biography sections we plan to post this year is one based on Glee Davis and his mother, Lucinda, who were among the most important early pioneers in the North Cascades and the Cascade River regions with their Cedar Bar bed and board stopover for miners going to and fro. We will post heretofore unpublished excerpts from their diaries and hotel register. We hope that a reader will have information about their English/Canadian-immigrant neighbors, the Barratts. We are searching for the family of the daughter, Iola Bazinet. Hatshahadish Creek. This creek was mentioned as being on or around Coal Mountain, across the Skagit from Hamilton, but we only found reference to it. Ward's Pass. That name is referred to in many newspapers of the 1890s as the proposed route of the Great Northern Railroad over the North Cascades. We think we know where it might have been along Cascade Pass, but we have not found any explanation of it. John Grandy. He lived on his claim on his namesake creek near Birdsview for only three years or so but we would love to know more about him. He came from the Olympic Peninsula with August Kemmerich and Birdsey Minkler in 1878 and those very early years have not produced many documents so far, outside of family biographies. Skiyou Island. The Little Mountain Hotel was built there in 1885 as a liquor-free haven for miners and homesteaders who were heading upriver to their claims. We found a very small news item about it but we have found nothing else. It was described as underneath Little Mountain, which we assume to be either Cultus Mountain or Haystack Mountain, south across the river. We also found a very old map that shows some kind of wagon bridge over the Skiyou slough at the very southeast tip of Skiyou Island, so we assume that was on the access road to the hotel. The drive-in movie complex that was located where Cascade Mall is today. We do not have a single photo, the story of its birth, life and death, or the builder or owner(s). Opera House, Mount Vernon. We have found quite a bit of information about the opera houses in Sedro-Woolley and Anacortes, but our file is still pretty bare about the granddaddy of them all, the Mount Vernon Opera House. It was erected on First Street, at the southeast corner of Washington, in 1892. First, we do not know the original builder or occupant. We do know that in 1902 the owner was Niles Anable. We want to write a full history of the building, including when it was torn down or burned. We also want to know about the Anable family. We know that Ida D. Kimble, daughter of pioneers David and Minerva Kimble, married John L. Anable in Mount Vernon on Aug. 2, 1891, and we know that John signed the original petition for a townsite in 1890. From his profile in the 1906 Illustrated History book, we know that John still owned the Opera House in that year, and that he originally came west to Mount Vernon in 1886, after learning the trade of brickmaking. We also know that he was appointed as postmaster during the second Cleveland administration and held city offices, but we do not know his profession before owning the Opera House, nor do we know when he bought it and from whom. We do not know if there was a club affiliation with the Opera House, but since John only belonged to the Knights of Pythias, we do not see an IOOF affiliation as with Anacortes or Moose Lodge, as with Sedro-Woolley. We know that W.S. Anable was the first undertaker in Mount Vernon and then opened the cement stone block factory in 1905. We know that Charles Anable had a confectionery in 1905. Were they brothers? Did John and Ida have children? Can someone help? Puget Sound Mail pioneer issues. In the first week of August, for decades, the Mail published an extensive special section of obituaries and memories in connection with the annual Pioneer Picnic. We want to see Xeroxed copies of any of them or even parts. Newspapers. If you find any old newspapers from anywhere in the county or in surrounding counties, dated before 1910 especially, we want to see xerox copies of any of them or even parts. We have checked the list of all names and subjects entered into the search box for the past six months and these are the ones that we would especially like to follow up. We would like to know why you searched for them and in some cases we include information that we know already. Please email if you were the one searching or if you know anything about anyone or any place on the list. 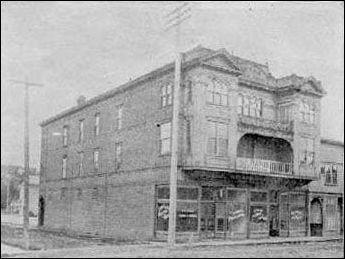 Fern Rooms, the most famous of the old-time brothels, located at the corner of Gibson and Metcalf. We have been researching Elsie Moore, the proverbial madam with the heart of gold, for some time and we plan a story vary soon on her and Fern Rooms, which was opened in the about 1890 as the North Star Hotel, a boarding place for workers at the Woolley sawmill. Art Robinson. Art was an uncle of Pinky Robinson, the legendary owner of Oliver-Hammer Clothes Shop. The Robinson and Stiles families came out here at different times around 1920. Art and his common-law wife, Oma, lived between Central School and Mary Purcell School on Nelson Street. Janicki family. The family settled on the east shore of Clear Lake in the Teen years of the 20th century, in very humble surroundings. They started a cedar-shake mill, which they relocated to Township Street in Sedro-Woolley in the 1950s. The descendants have became one of the most successful business families in the county, with diversified interests in logging, real estate and manufacturing with robotics. They were honored as Pioneer Family of the Year in 2004. We are researching them for a future profile. Tradewell Market. Tradewell opened on the west side of the 800 block of Metcalf Street in the early 1930s and in the 1940s, the store moved to 212 State Street, in a 40x120-foot building that is no longer there. In those days, meat markets were separate parts of the store and Royce Crossman and Bob Mahaffie were butchers in the Tradewell. In the 1960s the store moved to the old Jech Universal Motors Ford Garage on Murdock Street, the present home of the Sedro-Woolley Museum. David Donnelly. A Michigan native, Donnelly claimed he never attended school in his life. He moved west to Washington in 1891 and after working as a butcher in Edison and Wickersham, he moved to old Woolley in 1894 and made a fortune, supplying meat to crews at mills and logging camps, including a partnership with the Carsten family of Tacoma. He invested in real estate all over the county, opened a dairy on the old Mortimer Cook ranch and became a major Republican figure, serving as postmaster of Sedro-Woolley. He later opened a Chrysler-Plymouth agency with his sons. We are preparing a profile about him. Opal Whiteley. We believe that she was the daughter of an early Woolley jeweler who lost several family members in a house fire. But please share what you know. William Thomsen/Thompson, "El Murillo" Cigars, Sedro-Woolley. He was a Danish immigrant who migrated to Woolley near the turn of the 20th century and later Americanized the spelling of his name. He manufactured his trademark cigars and later acted as city clerk for decades. Please share what you know. Vienna Bakery. This early Sedro-Woolley bakery was in the building that later housed the Castle Tavern for 70 years, now the Cues & Brews. We have just obtained two photos of it. An alternate name of the business was either the Vienna Castle or Spanish Castle, the eventual namesake for the bar. Chet Barr. A member of an old-time Sedro-Woolley family. With your help, we will profile them. Mont Parker. Please tell us more. Hightower family. J.T. Hightower owned a logging camp near Birdsview and other upriver locations and owned the Skagit Mill at Lyman. Orian Hightower owned businesses in Mount Vernon and Sedro-Woolley. Bert Shellhammer family. We know little about the family except that the daughter, Violet, became a noted teacher in the valley. Bert Ries family. Actually there were four male heads of the family: Albert, Herbert, Nicholas and Frank. Frank was the sixth mayor of Lyman and an early mill partner with Birdsey Minkler, and Herbert was the ninth mayor. See this Journal website for our story that we want to update and expand this year. Ed Luton Obituary. Marshal Ed Luton was killed in 1929, sometime after breaking up a drinking party, and his body was found on a downtown street. Any Hamilton old-timer will tell you that they remember this story well and many will tell you that they have strong suspicions as to who killed him. We are preparing a story on Ed and his widow, Bessie, who took his place as marshal and lived in Hamilton until her death in 1970. We hope a reader has memories to share. Bessie Benston Luton was born near Conway, Iowa, in 1886 and she followed her older sister Olive west. Olive was the second wife of Fidalgo pioneer William Munks. Howard Rathvon. All we know about him is that he attended Hamilton Grade School in 1944, when Mrs. Bridge was teacher and principal. You can see his photo at this website: If you know about him, please tell us more. Hamilton Bridge. This is a mystery to us, too. We have never seen documentation for such a bridge from Hamilton over the Skagit. But Fred Slipper mentioned pilings there. We hope that whoever searched for this item has more information. Les Wilkinson Cascade market. Wilkinson was born in Idaho in 1922 and his family came to Skagit County in time for him to enroll in the first grade in West Mount Vernon in 1928, and he then graduated from Burlington-Edison High School in 1940. After living briefly in Lyman, he bought the old Cascade Market, across from the Hamilton Railroad depot in 1947 from the famed Johnnie Jacobin, a quadriplegic from birth who later repaired radios for a living and moved about on a special platform cart. He also bought the old run-down hotel across Cumberland Street to the south. His daughters, Julie Wilkinson Rousseau and Georganne Wilkinson Robertson have quite a bit of information on the family and I will direct inquiring readers to them. Superior Portland Cement Co. Construction began in September 1905 for the Washington Portland Cement Co. plant on Amasa "Peg-Leg" Everett's original ranch (on the east side of the Baker River). Superior Portland Cement Co. opened in 1908 on the townsite of Baker, the year before it was incorporated as Concrete. Superior absorbed Washington in 1919. We are very interested in photos and documents about both companies. Wagon road Concrete to Rockport. We know little about his subject but hope the reader who searched will tell us more. All we know is that Concrete pioneer Frank Hamilton is credited with blazing and cutting a trail through brush on the north shore of the Skagit to bring a cow up to his homestead where the Ovenell farm is today. Concrete Theater. We were thrilled to see that Breon Williams bought the theater. This last of the upriver theaters has gone through several owners who could not make it work. But Breon is a key employee of Mike Aiken's Northwest Properties and is perfectly suited to making this a success. Read more about it at this website. The theater is open Wednesday through Sunday and there is occasional live music. We wish Breon and his associates the best of luck and congratulate them for hitting the ground running. If you have any information about the history of the theater and its various owners, please let us know. Update 2010: The very successful Valerie Stafford, head of the Concrete Chamber of Commerce, has now bought the theater and it will reopen on Feb. 12 with the movie, Some Like it Hot. See the story at the link on our home page or check the Upriver Portal. Sadie's Hotel, Marblemount. Just west of the Pressentin store. Can you decipher the name on the sign? We know that Mama Buller named the village for the "Marble Mount" across the Skagit River, so when was the space taken out of the final name? Behind Sadie's Hotel is the Pressentin store and post office. Do you have more photos of the villages, pioneers and buildings of the area from Rockport to Marblemount to the Cascade River area? Tarheels, North Carolina, Sylva, Franklin County, Jackson County. We have conducted an extensive survey of people who have migrated here from North Carolina and will be sharing an overview soon. Pyeatt or Pyatt family. We would especially like to correspond with someone from this family, partly because their family name was attached to the first drive-in in Sedro-Woolley, which opened in 1949 as the Dairy Queen and is now Hal's. In researching the life of Methodist preacher John Tennant of old Whatcom for an upcoming story, we discovered that one of his relatives, and a fellow Whatcom pioneer, was Henry J. Pyeatt. They both migrated to the Northwest from Arkansas. Hodgin family. We are especially interested in Al Hodgin's family, who renamed the Wixson Club in Sedro-Woolley the Red Dog Saloon. Cathey. Someone has been searching for this name, which we have occasionally seen but about whom we know very little. We wonder if they are related to bear-hunting Cole Cathey, who was the North Carolina (Oconaluftee) sidekick of Julius J. Conner, who lived in Bow, Lyman and Sedro-Woolley. Illabot Creek Road. Illabot Creek feeds into the Skagit River from the south, and it flows roughly parallel to the Suak River and to the east. That was where Fred Martin raised his family, starting in 1890. We are eager to learn more about the neighbors, such as the O'Connors and the O'Briens. We know little about the road you searched for, other than it was apparently hewed out originally as a logging road. Melvin Peterson. We will assume that you are talking about the surviving brother of the upriver clan who owns a service station in Marblemount. His brother Marv was a state senator and his father, Otto Peterson, owned a business in Marblemount and was a conduit for moonshine there during Prohibition. McGovern Family, Sauk Store. Frank McGovern owned the old Sauk Valley store at the little town of Sauk on the north shore of the Skagit, which featured a concrete wading pool for kids. The store and service station was opened by Garnet Thompson in 1919, with one of the first upriver gas pumps. Frank took over the business in 1950. His brother Gordy McGovern maintained the McGovern Auto Repair business that the brothers and their father opened in Concrete in 1919. We would love to know more about them, including Frank's widow, who died in the 1990s at the Sedro-Woolley convalescent home after almost reaching the age of 100. Speeder railroad cars. These cars carried loggers back and forth to remote locations in the woods and the mountains. We plan an upcoming feature on the subject. Cokedale. C.X. Larrabee. The man who made his fortune in silver mining in Butte City and other mountain mines invested in Nelson Bennett's railroad, the Fairhaven & Southern, in 1888-89 and then converted Lafayette Steven's old Crystal Mine into a major supplier of coking coal. Does someone out there have photos and documents about the town of Cokedale, which reached a population of 1,000 or more by 1900 and of which there is not a trace at present? Lake McMurray. We have been researching this lake and the town on its western shore for several years now. It rose and fell with the fortune of the Seattle, Lake Shore & Eastern railroad. We have a multi-part series in the works. Sterling cut-off 1909. We have extensively researched this man-made channel of the Skagit River west of Sedro-Woolley. See these Journal websites: here and here. Cottenbaugh. This could be Martin Cottenbaugh, who was the postman at Ruby Creek during the gold rush of 1880. Back in 1877, Eldridge Morse, the editor of the Northern Star in Snohomish, found Martin in his cookshack at the brand new town of Mount Vernon. He had started as the cook for William Gage's logging camp. Sometime between 1887-80, John A. Bieble opened the Bonanza Saloon in Cottenbaugh's restaurant. Then his trail goes cold. We have found references to a Cottenbaugh family in Illinois and Indiana in various federal census reports of the 19th century. Does a reader know something more about him? Ed English logging. Ed was the founder of Mount Vernon in 1877, along with Harrison Clothier, his former teacher from Wisconsin. We have a story just about ready that includes his obituary. He and Clothier started a logging operation, which Ed continued after Clothier entered politics, and English wound up one of the logging powers of northwest Washington. Orrin Kincaid. Orrin Kincaid was one of the first settlers on the Skagit River, arriving here in the early 1860s, and he helped build William H. Sartwell erect the first cabin in future Skagit County, on Sartwell's claim on the South Fork. He also helped establish the first trading post at Skagit City and was elected as a Whatcom County Commissioner in 1870. In 1880, he had an upriver claim near the junction of the Baker River and the Skagit. By 1883, he lived in Mount Vernon and represented the southern portion of Whatcom county in the Washington Territory Legislature and was a key player along with James Power and John Kill in finessing a bill through that allowed for formation of the new Skagit County. An arterial street in Mount Vernon was named for him, but we do not know when. We plan to profile him soon. John George Dines. All we know about the family is their potato farm west of Nookachamps and northeast of Mount Vernon. Please tell us more. West Mount Vernon bridge. The first wagon bridge was erected in 1893 from Division Street to West Mount Vernon with wooden truss construction and a draw span that a bridge tender opened by hand. Just 15 years before that, two huge log jams were removed near that spot, which had blocked off the upriver entirely. The bridge bore a large sign at each end, "$25 fine for riding or driving over this bridge faster than a walk." The roots of a giant uprooted tree crashed into the bridge during the flood of 1906, damaging the span beyond repair. A completely new bridge — still standing, replaced the structure in 1908, designed that time to accommodate automobile travel, and this time with a swing span powered by a gasoline motor. The bridge was significantly rebuilt in the early 1950s. Maddox family. This family included some of the earliest Northwest pioneers out on the islands and they moved to the south fork of the Skagit with the first wave of Whidbey Island folk who arrived and staked claims in 1870-71. One of the descendants, Vic Maddox, died in 2005 and was acknowledged as one of the last great timber cruisers in the county. Abraham Garl family. Garl was a very early Burlington pioneer and the portion of Old Hwy 99 that runs through the middle of town was originally Garl Street. His brother John was also a settler. Abraham's daughter Clara was a very early teacher in both Sedro and Burlington and she later married a man named Morrison and moved to Seattle. Garl descendant Delores Wilkerson is helping us prepare a story and the Garl family bible surfaced at an auction in California. Avon School. Author Tom Robinson explains that students from Avon originally crossed the Skagit River at the bend and attended school at the Riverside School. But we cannot find when that Riverside School opened. We do know, however, that the Riverside was District 38. Avon was District 19 and the school there opened on Jan. 27, 1885, according to researcher Jeanie Bond. We hope a reader knows more. Berentson. We very much want to profile this family, most of whom made their mark in Burlington. Haroldson. Olaf Haroldson was an early settler near Anacortes. Haroldson had a boots and shoes factory and his wife, Pernella (Anstenson) recycled rags to make rugs by hand. Is that who you were looking for? Hazard Stevens. Son of the first Washington Territory Governor Isaac Stevens, Hazard enlisted for the Civil War and was seriously wounded at the battle Chantilly, where his father was fatally wounded. Stevens practiced law in Washington Territory, primarily representing Northern Pacific, and then established a practice in Boston, while retaining significant interests here. He was also one of the first men to climb Mount Rainier. You can find a much more complete biography here. Carrie White, Anacortes. Carrie White was a daughter of one of the earliest Fidalgo pioneers, Henry J. White, who moved his family west from Iowa in 1872 and took up a preemption claim on Guemes Island. He preferred the land at the head of Fidalgo Bay, however, and he and his son Frank diked in 70 acres of marshland — the site of the present golf course, before moving the rest of the family up in 1873. He eventually platted White's addition around the present location of San Juan Lanes. His daughter, Carrie White, became an important historian of the region and we plan to feature her 1898 history in upcoming issue this year. We also feature a profile of Henry by his granddaughter, Marguerite (Peggy) White Young, in Issue 34. Padilla Bay oysters. We do not know about oysters from that bay, but we are learning about the history of the industry at Samish. We welcome historical information about Padilla, Whitney and Bayview. William Munks and his wives, Minnie and Olive. He was arguably the first permanent settler in the Fidalgo area, although he moved back and forth between there and Whatcom County, and he built a hotel at March's Point, which went bust along with the short-lived Anacortes boom. We are in the final stages of preparing a major feature about him, and we have been contacted by the descendants of both of his wives' families. Esary family. If you are looking for the Esary family of LaConner, all we know is that Lillie D. Esary graduated from LaConner High School in 1905. LaConner water tower. We have no history about it but we look forward to seeing information. John Ball. Ball bought a farm from his brother-in-law two miles north of future LaConner in about 1873 and proceeded to grow whopping quantities of oats along with his neighbor and friend, R.E. Whitney. A native of Ohio, he headed west in 1859, originally planning to cash in on the Pike's Peak mining boom, but when that fizzled, he moved on to California, where he married Eleanor M. Massey. In 1905, his son, Thomas Amos Ball, built the house near the Whitney railroad depot that was the most photographed ghost house of the county until it finally blew over in the 1990s. John eventually amassed a 1,000-acre ranch, one of the largest in the county. We have very little history of the family and we hope a reader will share. John Tennant. 1829-1893. Tennant was a native of Arkansas, where his father, Thomas Tennant, lived to the age of 114 as the oldest Methodist minister in the country, even though he periodically left the church over various disputes. John came west on a cattle drive in 1853 and migrated to Whatcom in 1856. He took for a wife a [Lummi] Indian woman named Clara (whose brother was chief of the Lummi tribe) and Tennant staked the first settler claim on the Nooksack River in 1859. He planted planting pear and apple orchards near Ferndale and in 1868, he was part of the small group who were the first white men to ascend Mount Baker to its summit. After becoming Whatcom County Sheriff in 1859, he held a series of positions, including: Methodist minister, justice of the peace, probate judge, county school superintendent, territorial legislator and real estate developer, along with occasional stints as a surveyor and civil engineer, skills that he learned at a small college back home. Her mother was Duwamish. However, she was the daughter of the most influential leader at Lummi — Tsi'liqw. She was the best connected young lady of Lummi when John and she married. Tsi'liqw's descendants and nameholder today would not want to read that her high status Lummi birth was ignored in favor of the out-of-the area designation of Duwamish. It would also be better to refer to her brother by name as he sounds pretty inconsequential the way you have put it. He was "Appointed Chief Henry Kwina." It is Henry's land that the new campus of the NW Indian College is being built upon. At one time he was the oldest Catholic in the state and was honored by the bishop in Seattle with a big ceremonial visit. He also served as a teenager as Capt. Pickett's express man. And he was in the canoe as a 10 year old the day that Roeder and Peabody landed here. We appreciate very much her correction. She and I are both trying to correct myths and legends that have found their way into print, along with assumptions and "factoids," which have been accepted as fact. Candace also points out another important thing to remember about Indian culture. They had and have names that they keep secret and do not share people outside their family and culture. 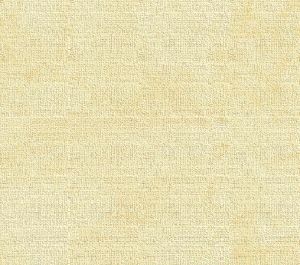 Thus the names that you read in historical accounts are usually anglicized versions of the names that Indians chose to be identified by in trading negotiations, treaties, etc. Also, some Indians sometimes chose to take the name of white settlers with whom they were associated or for whom they worked. Finally, white settlers sometimes called Indians by the names of white leaders. For instance, Chetzemoka, the S'Klallam leader who became a trusted friend of Port Townsend settlers, was often called Duke of York. And his brother's son, who later became a tribal leader of the Lummi, was called Thomas Jefferson.